FIRST HI-TECH DIALYSIS UNIT IN TIRUPUR CITY. RMC Dialysis unit is a state-of-the-art dialysis facility, which handles more than 20 cases on an outpatient basis every day. 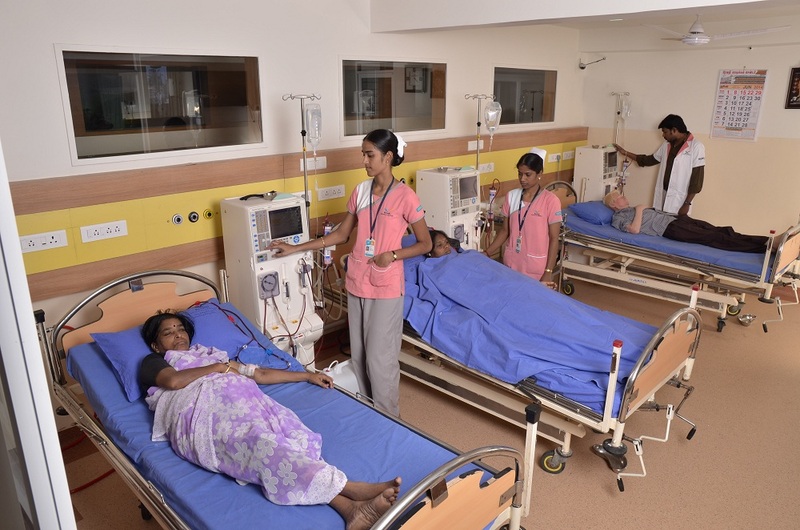 Facilities for dialysis are also provided in ICU's, including the Liver ICU, Medical Intensive Care Unit and the post-operative care centre. The centreâ€™s haemodialysis unit has one of the best water-treatment plants. Dialysis is a kidney treatment that employs an artificial process of eliminating waste and unwanted water from the blood. The exchange occurs across a semi-permeable membrane. When the blood is drawn, passed through a membrane and returned to the patient, it is called haemodialysis. When the bodyâ€™s peritoneal membrane or lining of the abdomen is used for the exchange with a chemical solution, it is called peritoneal dialysis. Haemodialysis is considered more swiss replica watches effective than peritoneal dialysis in removing fluid and substances with small molecular weight. The Consultant will be available on every friday evening 3.00pm to 5.00pm for the OP Consultations.